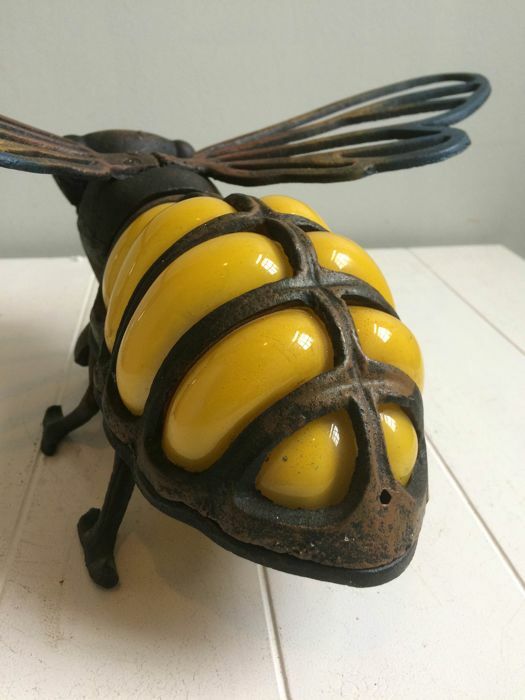 This royal bee is a special insect. 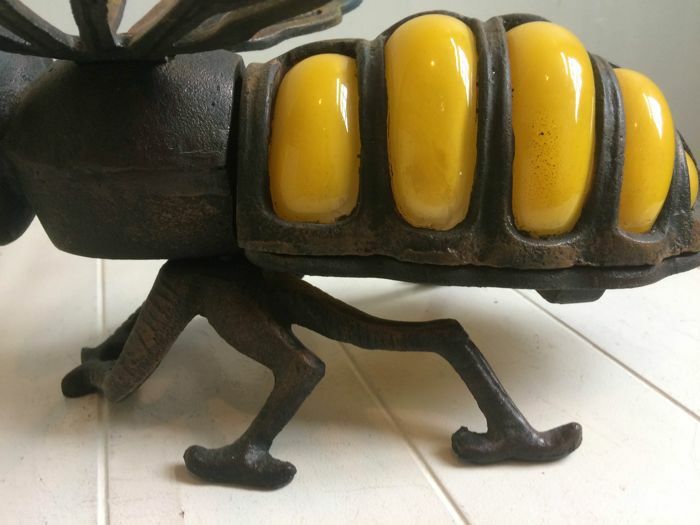 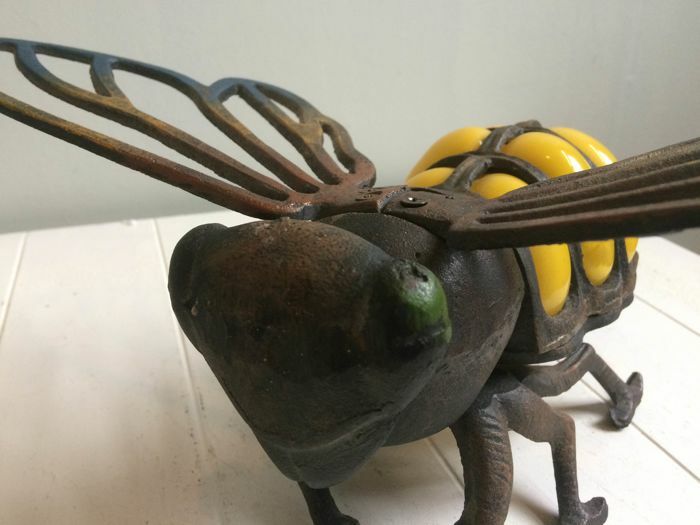 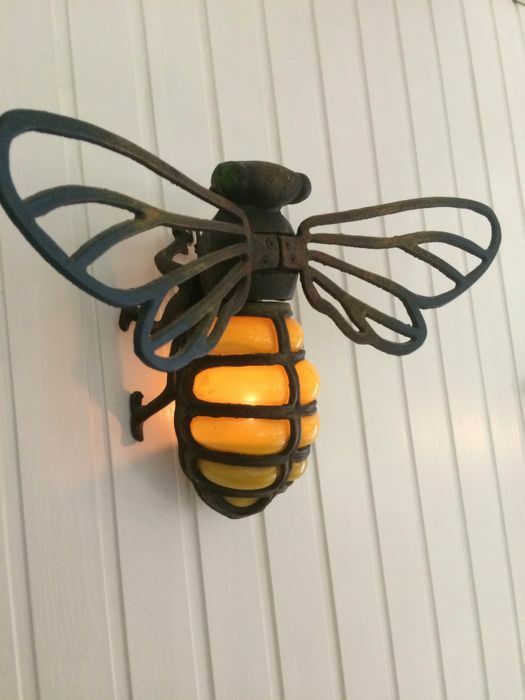 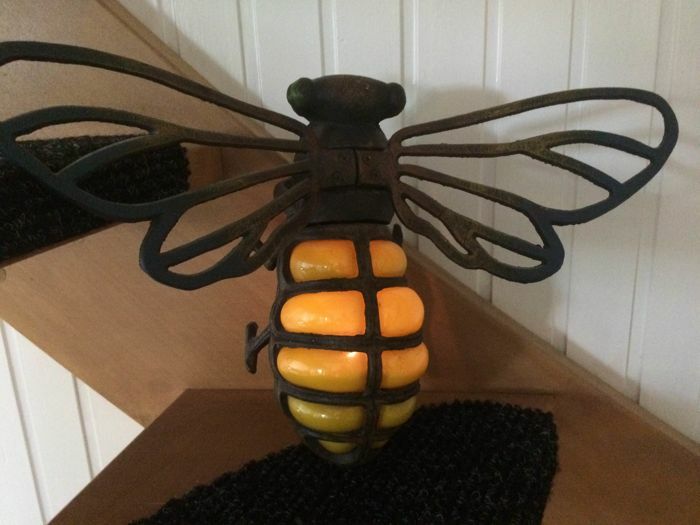 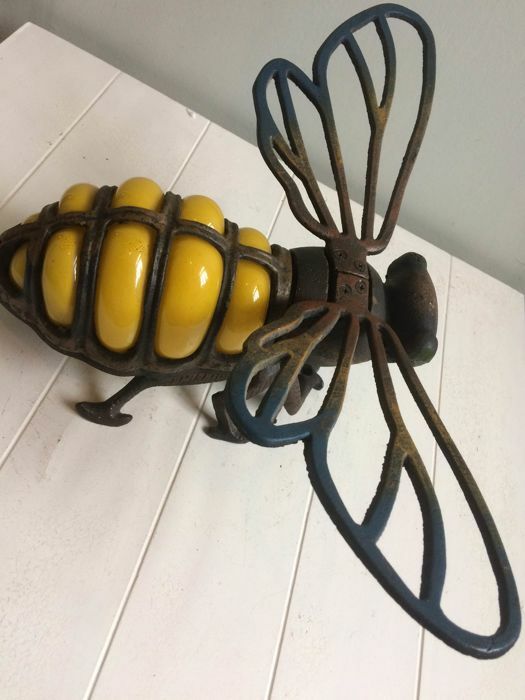 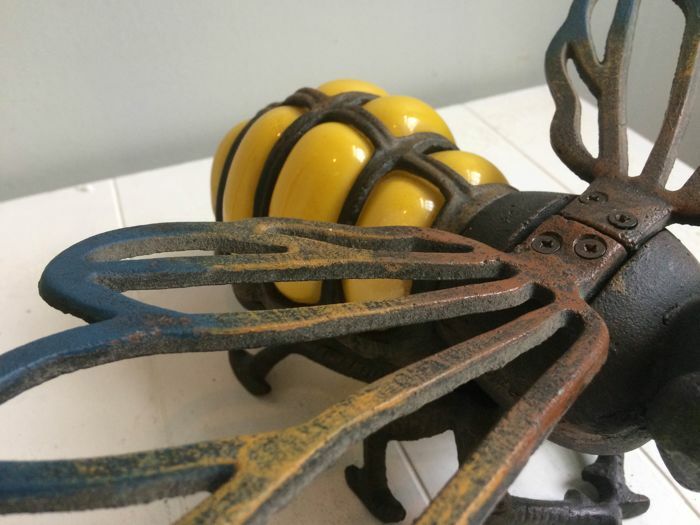 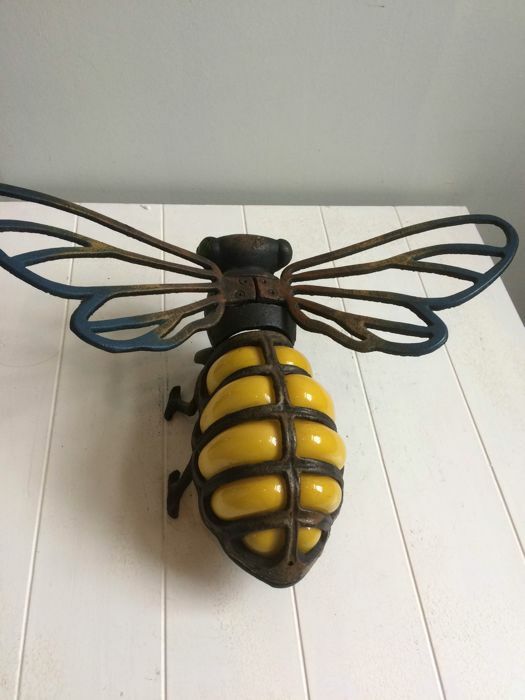 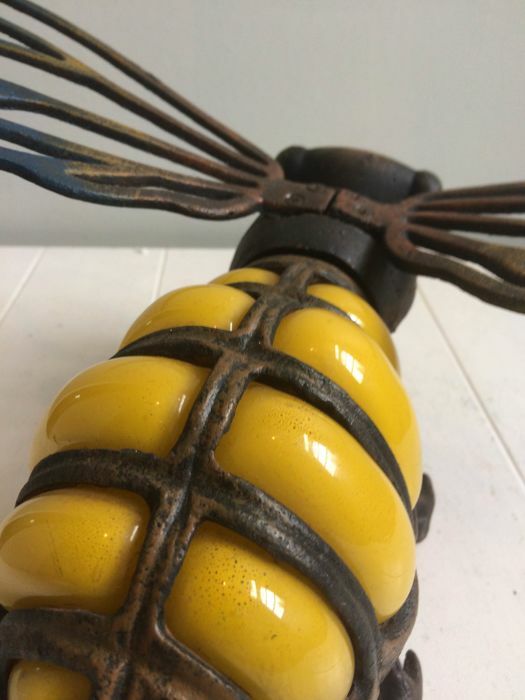 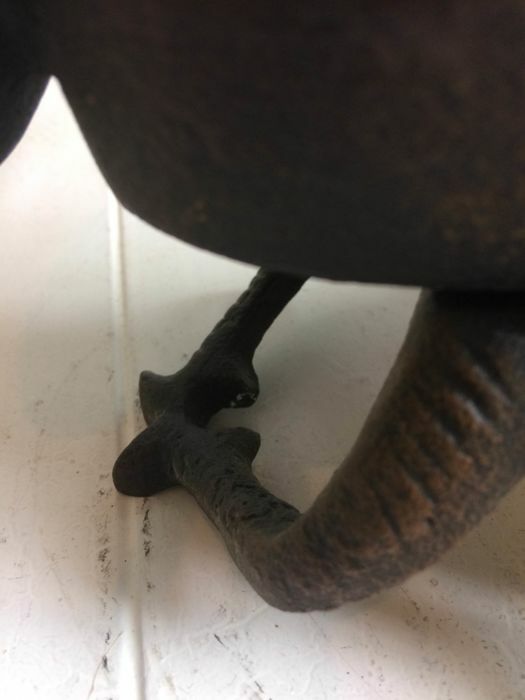 Its bright yellow glass body, wrought iron wings, legs and head, and the possibility to display it standing up or hanging. 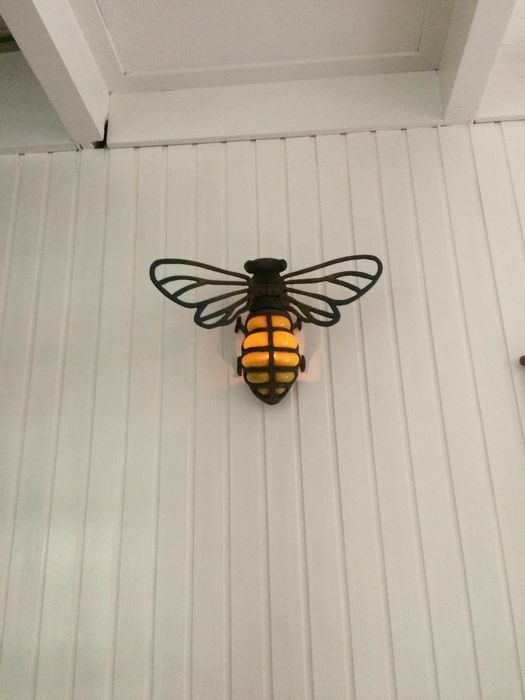 If you hang it, the front paws will wrap around a screw or nail and you can place a burning tea light in its belly. 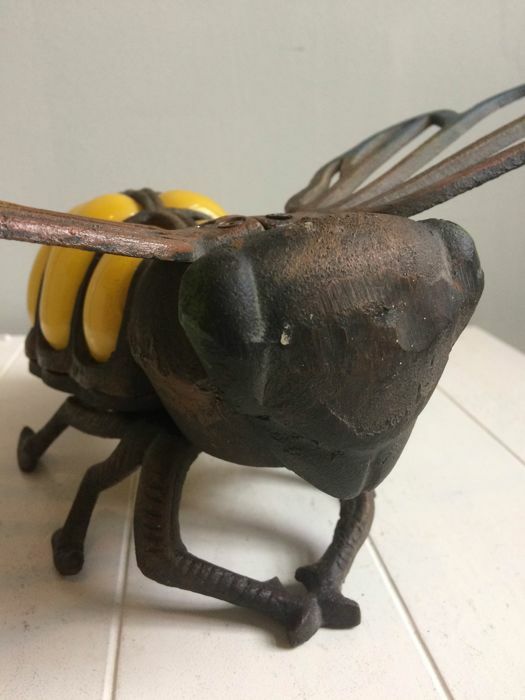 It will never sting, measures 37 cm wingspan, body length is 23 cm, weight 2.2 kilograms, will be sent by registered mail. 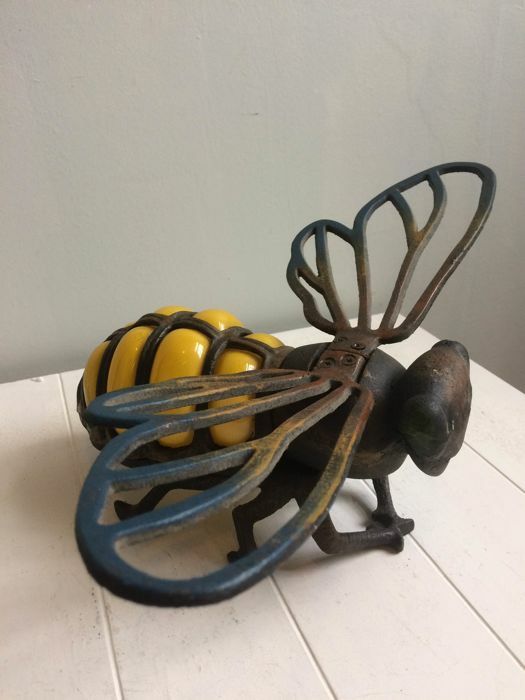 You can pick up this lot from the seller: Heerhugowaard, Netherlands.